SVT accepts ages 4+. We focus on building character, leadership and discipline. Sifu Sampson has 35+ years experience and is a 7th degree black belt. Kids learn in a structured program that allows them to have fun while they learn! Our goal is to teach our youth the tools they need to make good decisions, have focus and maintain self control. All of this helps them to make positive changes now and better choices in their future. 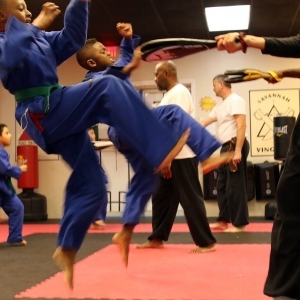 It takes a first step, come give SVT Martial Arts Academy a try, you and your child will love it!